Take this MSc course in Finance and gain exposure to a broad range of topics in the field of finance and corporate finance. 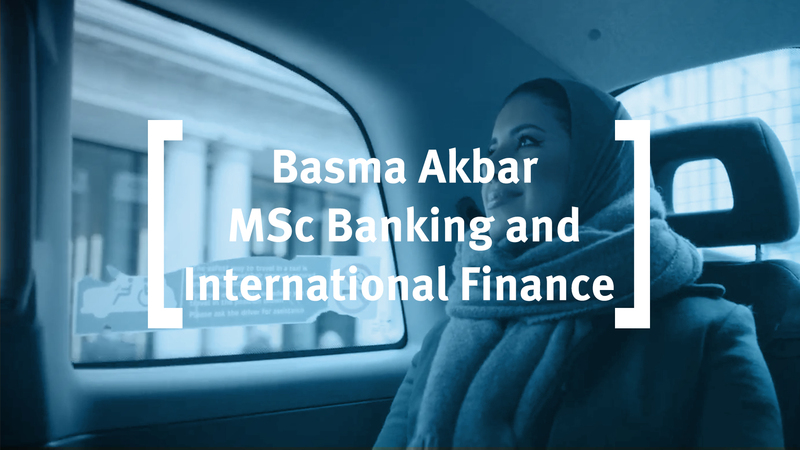 Basma Akbar came to Cass Business School from Kuwait to study on the MSc in Banking and International Finance. In this video she tells us why she loved studying in London and learning from renowned professors. You are ambitious to succeed in the finance field, in a career that might encompass anything from hedge funds to investment banking. 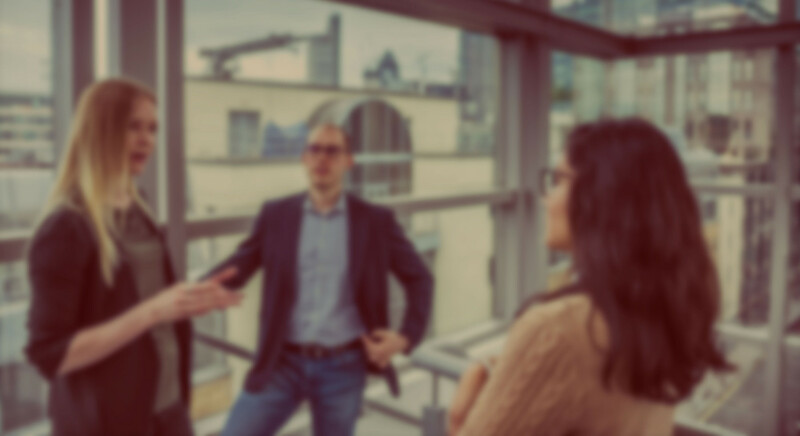 Your strong quantitative skills give you an ideal starting point as you begin to investigate the mechanisms that drive finance across different industries. Your interest in finance is matched by your desire to establish yourself in this highly competitive marketplace where pressure and risk accompany job satisfaction and financial rewards. The master's in finance programme is your opportunity to deepen your knowledge of the area. You kick off with a term of foundation modules that cement your understanding of finance, corporate finance, accounting and econometrics. You build on that core knowledge with a term where you tailor the course to your own subject preferences. You can choose to specialise in either finance or corporate finance, or to remain broad to acquire an all-round, post-graduate qualification in finance. Flexibility is built into the MSc Finance programme through a comprehensive elective offering including a number of optional overseas electives in locations such as New York, Singapore & Dubai. Chat to one of our MSc in Finance students now and have them answer your questions on everything from application to student life. Acquire a flexible qualification suitable for a wide range of roles in global finance. The aim of this course is to introduce you to the field of corporate finance. This is achieved by familiarising you with the core theoretical principles and equipping you with the basic and most commonly used practical finance tools. The material covered in this course is crucial for professional work in the area of corporate finance as well as for further study of more advanced or specialised corporate finance-related courses. It is relevant for financial officers, economists, investment bankers, analysts and other decision makers. Use accounting information to assess the financial situation of a company. Strong research is a key element of development strategy for companies and institutions large and small. This module aims to provide a grounding in financial research, particularly financial modelling and information gathering, which you will be able to use to support your learning on the rest of your course. Finance theory often makes convenient assumptions that facilitate predictions. However, some of those assumptions may be questionable in practice. A good grounding in Statistics will enable you to formulate and estimate econometric models that can be used to develop empirical tests for such assumptions. The development of empirical models that are coherent with stylised facts, in turn, indicates directions in which financial theory can be improved. To facilitate efficient analysis of financial data, a variety of statistical methods are introduced as a necessary tool in today’s information-driven financial landscape. The aim of this module is to provide you with an understanding of the structure and functioning of capital markets, an appreciation of the valuation methods for securities and to introduce the principles of portfolio theory. The aim of this module is to provide you with an understanding of the structure and functioning of the asset management industry and to develop the principles of portfolio theory relevant to professional fund managers. This course examines derivatives, which are a key part of modern finance. An understanding of how they are structured, priced and used to hedge financial risks is vital for those considering careers in equity, fixed income or currency portfolio management or trading. The aim of this course is to develop an understanding of modern corporate finance so that the corporate manager, the investment banker and the financial analyst will have the conceptual foundations for making informed corporate assessments of key financial decisions. The course puts significant emphasis on the interactions between capital markets and the value of the underlying real assets. The overwhelming majority of all financing is raised in the form of fixed income instruments. Understanding such instruments is therefore key for all aspects of modern financial practice, whether they relate to fund raising, risk management or investment and speculation. Starting from an assumption of minimal existing knowledge, the module provides a unified way to think about the theoretical and practical issues related to fixed income instruments. It introduces some of the main fixed income instruments and explains their practical relevance to asset managers, treasurers, investment bankers, financial analysts, traders and other professionals who work in financial markets. In recent years there has been a trend towards globalisation. That has impacted on all financial decisions and has necessitated the understanding of international financial markets. Option 1: Students can opt to write a 10,000 word business research project (40 credits) and take one specialist elective module (1 x 10 credits). Option 2: Students can take two core modules and three elective modules (5 x 10 credits). Option 3: Students can opt to write a 3,000-5,000 words Applied Research Project (20 credits) and take three specialist elective modules. This module focuses on two key things (i) the mechanisms by which securities are traded in modern financial markets and the implications of trading mechanisms for the efficiency and liquidity of markets and (ii) the design of quantitative and algorithmic trading systems. It touches on all major asset classes (equities, FX, bonds and derivatives) and examines both theoretical and practical trading scenarios. It aims to prepare you for work which would involve quantitative trading or trade quality evaluation or for graduate work in this area. This module will be delivered in Paris in partnership with the University of Paris-Dauphine as a block module. You are required to submit a project of approximately 10,000 words on any subject area covered in the rest of the Finance programme. Guidelines will be provided in order to help you identify the research question. Based on your chosen topic, you must write a report of around 3,000–5,000 words that summarises and critically evaluates your method and your findings. Assessment of modules on the MSc in Finance, in most cases, is by means of coursework and unseen examination. An introduction to the Cass Careers offering with a focus on key skills and attributes that employers are looking for. The annual MSc Careers Fair at this time also provides the opportunity to meet over 60 companies who are recruiting across many sectors including finance, energy, insurance, real estate, shipping, strategic management and internal auditing. a refresher course of basic financial mathematics, statistics, computing and electronic databases. This knowledge and experience inform the highly interactive lectures that make up the MSc in Finance. A well-balanced score in the range of 600-800 will significantly strengthen your application. The remaining industries are made up from Insurance (8%), Investment Bank (8%), Consulting (5%), Financial Services Consulting (3%), Management Consulting (3%), Energy/Utilities (3%), Advisory/Boutique firm (3%), Hedge Funds (3%), Sales, Trading and Structuring (3%), Aerospace (3%). Successfully obtaining the MSc allows exemption from the exams of CIMA and ACCA. CIMA is the world’s leading, and largest, professional body of management accountants. Cass students on CFA partner courses have the option of taking some additional preparatory classes for the CFA exams. They also have access to CFA study materials (including an online Level 1 sample exam) and complimentary access to Financial Newsbrief, a daily investment brief by the CFA. In addition, there is the opportunity to take part in the CFA Global Investment Research Challenge. Each year a number of CFA scholarships are available to Cass students, offering financial assistance with the CFA exam registration fees.